« Let’s Get Free: Nationwide Call for a Huge Nov. 2, 2014 Rally! The Sundiata Acoli Freedom Campaign (SAFC) is calling for a national poetic/hip hop day of action for former Black Panther, former NASA mathematician, and political prisoner Sundiata Acoli on September 22, 2014. Sundiata will also create a new poem based on this prompt that can be shared at both kinds of events. We keep an updated list of events happening across the country – here on this website. If you are interested in having an event in your city added to the list, please email thesafc@gmail.com. On May 2, 1973, former Black Panthers Sundiata Acoli, Assata Shakur and Zayd Shakur were ambushed and attacked by state troopers on the New Jersey Turnpike. Assata was wounded and Zayd was killed. During the gun battle a state trooper was shot and killed in the crossfire. Sundiata was tried in an environment of mass hysteria and convicted. 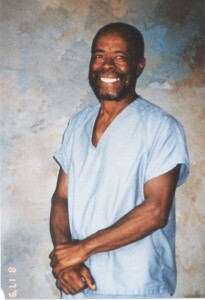 Sundiata is 77 years-old and has completed his sentence serving almost 40 years in prison. Despite having a clean disciplinary record and the fact that the recidivism rate for senior citizens is almost nonexistent, Sundiata has been denied parole numerous times. Currently we are waiting to hear back from the New Jersey courts on an appeal on the last parole hearing. This entry was posted on Friday, August 8th, 2014 at 6:44 pm	and is filed under Written About Sundiata Acoli. You can follow any responses to this entry through the RSS 2.0 feed. Responses are currently closed, but you can trackback from your own site.